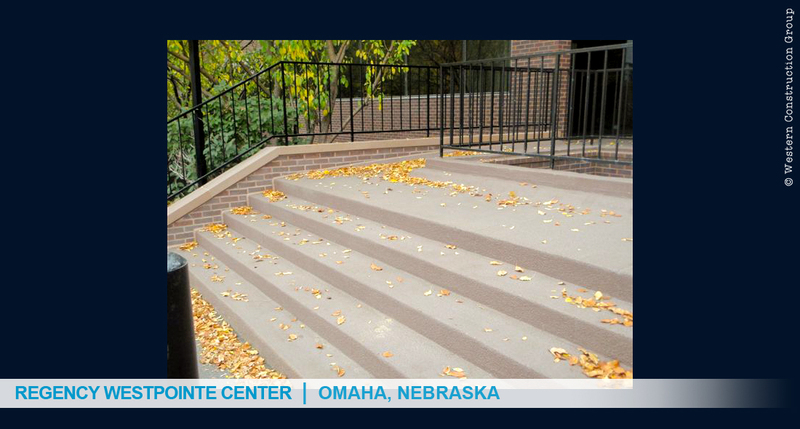 Western Specialty Contractors worked with Vann Realty in Omaha to replace two walkways at the Regency Westpointe Center. The walkways connect two buildings at the facility. 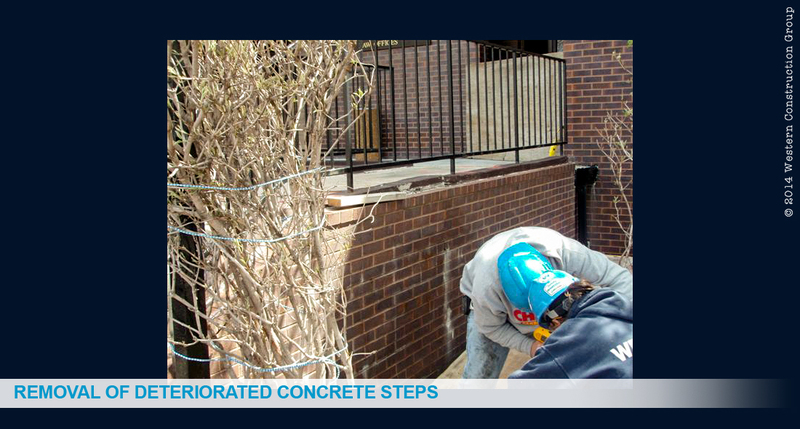 Initially, the project involved concrete and waterproofing membrane repairs. As it turned out, the walkways had to be demolished and rebuilt. 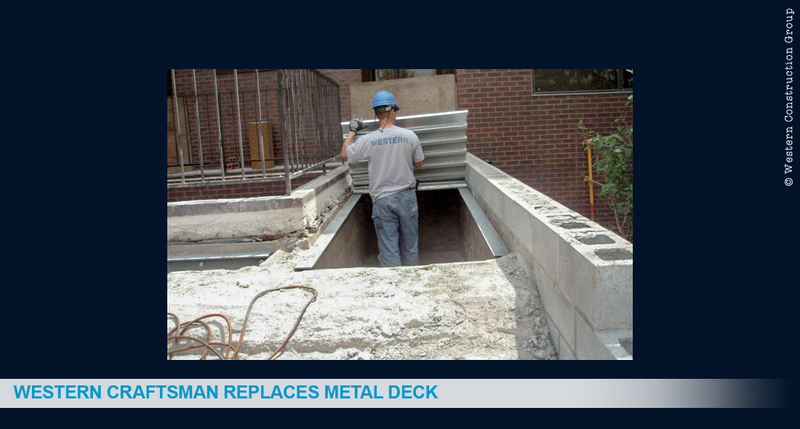 Problems occurred because the metal pans beneath the concrete were covered with plaster soffit. 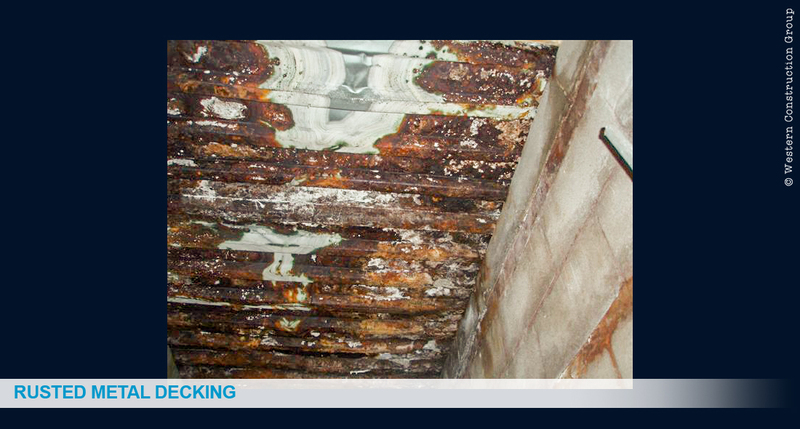 Over the years, the soffit held water trapping it against the metal pans causing severe corrosion. 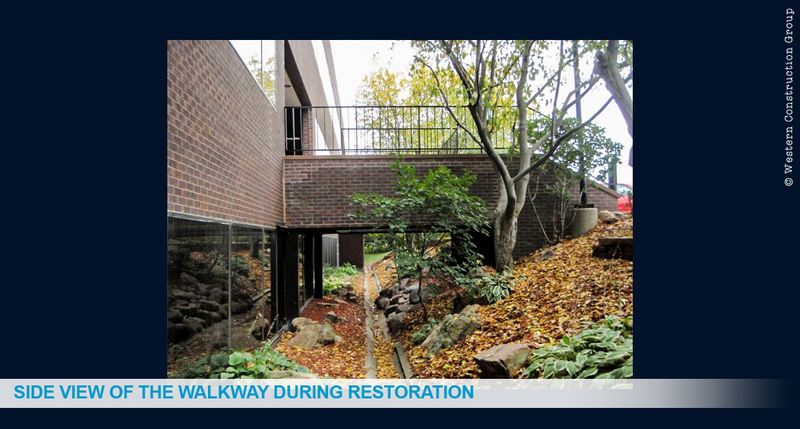 The walkways were demolished and replaced, including new metal decking. Brick cheek walls were built and new handrails installed. A nonslip waterproofing membrane was applied to the topside of the concrete to reduce the chance of future corrosion. Miscellaneous caulking and tuckpointing work was completed at the building’s entrance. The work was phased as much as possible to allow pedestrian access to the building.